A couple weeks ago, Nintendo held their Switch press conference, which shed plenty of details about the new console. In addition to the pricing and release date, some new games were announced such as a new FIFA title. 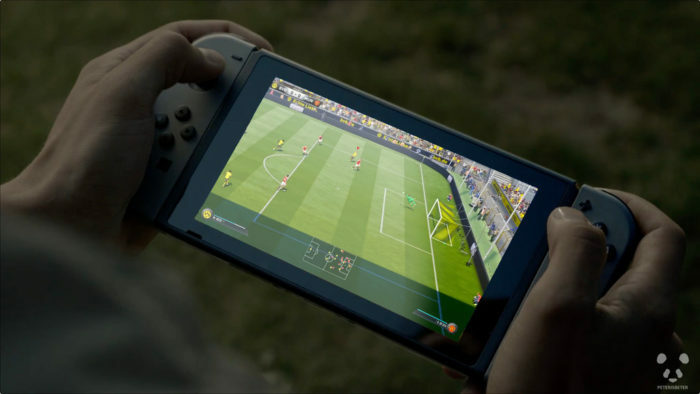 Fans all around were ecstatic to see EA bring FIFA to the Switch, however, not too long after did rumors start to go around that the game will be built using a last-gen software. This starting a whirlwind of negative energy toward Nintendo and their newly announced console. Thankfully, though, due to a new interview with EA’s Peter Moore via GameReactor, we now know little more details about the title. Looks like Moore is playing his cards close to his chest as he doesn’t go into great detail about the game’s development, but rather keeps suggesting a custom built version. However, it is still nice to hear that the game will be FIFA 18 and not just some spin-off game in the series. FIFA 18 joins a slightly growing list of games for the new console. At first, it seemed liked the landscape of games for the Switch were scarce, but it seems like Nintendo has a strategy in mind and this is all part of their plan. Check out here to see more games that are heading to the Switch. Nintendo Switch releases next month on March 3 for $299.